Pink is fast catching up the eyes’s of the new age brides. 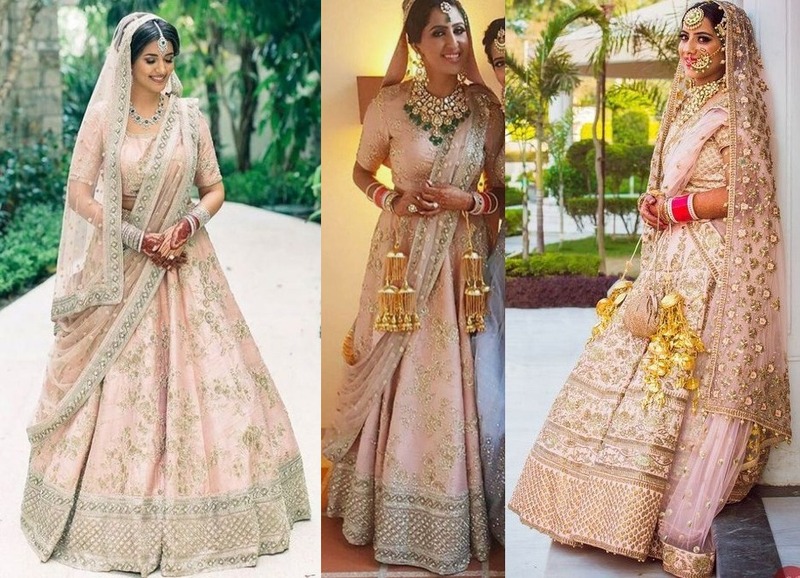 And not only the traditional Fuscia’s and Magenta’s, in fact brides are experimenting with a wide pallete of colors in shades of pink like from peach pink to ruby pink’s and many more. 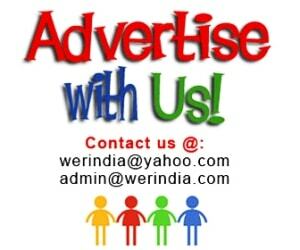 Here are few examples to look upto…. 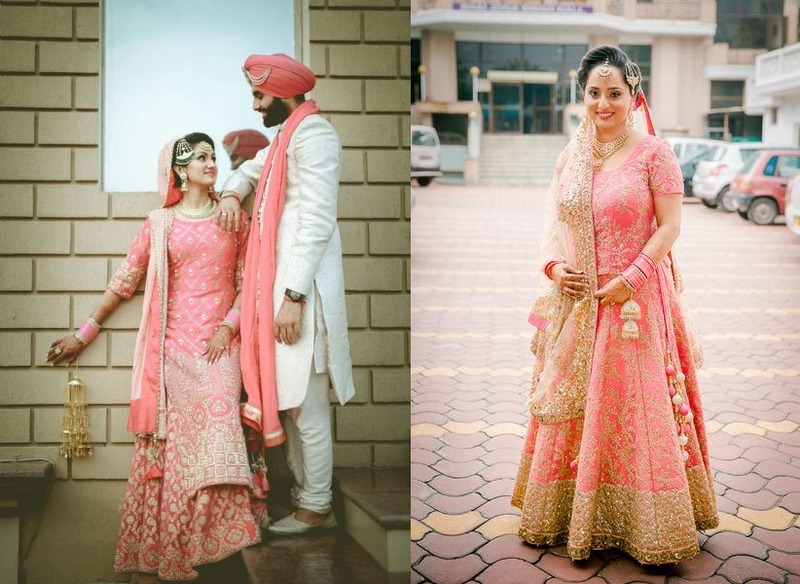 -Salmon pink full length Anarkali or a floor length dress is an apt garment for the wedding day, especially if you are looking forward to ditch the conventional three piece lehnga set. 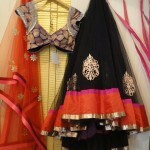 Or you can also replace a short choli with a long kurta for the lehnga. 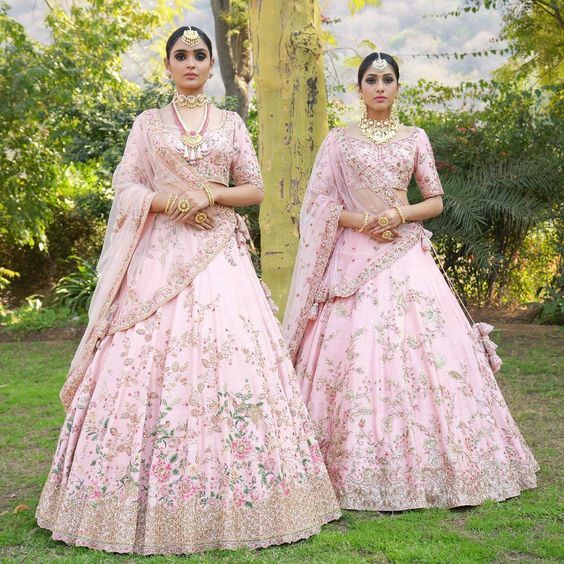 Bubblegum pink– A light pink color but in a slightly neon shade, go for this color if its a day wedding and it will uplift your mood by keeping the nervousness at bay. 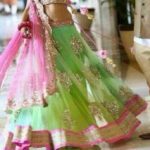 Baby Pink– One of the best pick for the day weddings would be a well structured lehnga in baby pink, and for the ones who want to add a few colors it can be done by adding a dupatta in a contrast color. Hot Pink or Magenta– If you want to go bold then try this ultra feminine shade and you will never fail to impress. The color itself gives you the much needed glow necessary for your big day. Diamonds or polki and kundan jewelry goes best with this color. 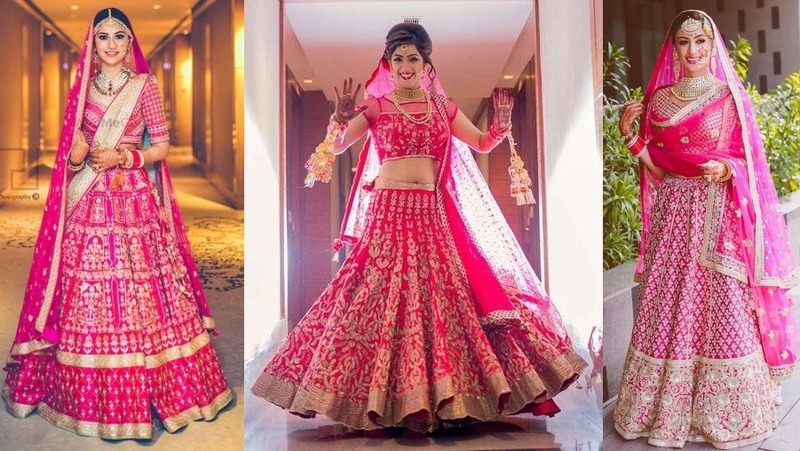 You can go for an all pink lehnga or pick up a different shade like an off white or gold for your second dupatta. Ruby Pink– A slightly darker version of magenta and fuscia or dark pink in common language, this color promises to give an unmatched elegance and charm to the bridal look. The color itself gives a very royal, alluring and a chic look and when combined with the Indian embroideries it’s the best you can ask for.